Dentons Rodyk - The Maritime Labour Convention arrives on Singapore Shores - what does this mean for our shipping industry? A leading commercial litigator and international arbitration counsel, Philip is named in all the major legal publications as an expert in arbitration, construction law and litigation. Philip's practice spans investments and projects across Asia, and he has represented clients in arbitration proceedings in Singapore, Malaysia, Hong Kong, London, Zurich and Brunei. Now the world's largest law firm, Dentons' global team builds agile, tailored solutions to meet the local, national and global needs of private and public clients of any size in 175 locations serving 78 countries. In line with the swing towards greater employee protection in Singapore over the last few years, proposed revisions to the Employment Act have been introduced by way of the Employment Bill (the Bill) tabled in Parliament on 2 October 2018. The Bill which will be raised in Parliament in November 2018, is targeted to take effect in April 2019. Learn about the key amendments proposed and the main implications for employers and employees. An indispensable tool for doing business in Southeast Asia, take a look at our comprehensive overview of legal developments in Singapore across industry sectors. Dentons advised Surbana Jurong, a Singaporean state owned enterprise and one of the largest Asia-based urban and infrastructure consulting firms, on its acquisition of B+H, a global, award-winning consulting and design solutions firm. Dentons has launched its previously announced combination with Hanafiah Ponggawa & Partners (HPRP), one of the largest and most elite law firms in Indonesia. Dentons has launched its previously announced combination with the Malaysia firm Zain & Co., a long-established and elite law firm in South East Asia. The Maritime Labour Convention arrives on Singapore Shores - what does this mean for our shipping industry? The Merchant Shipping (Maritime Labour Convention) Act ("the Act") was passed by Singapore Parliament on 21st January 2014 and was assented to by the President on 11th February 2014, effectively incorporating the Maritime Labour Convention, 2006 ("MLC") into domestic law. The Act was first published in the Government Gazette, Electronic Edition, on 4th March 2014. To date, the MLC has been ratified by 61 States1 representing about 80% of global gross tonnage.2 This bears testament to its intended global reach. Notably, Singapore is the first Asian country3 to ratify the MLC, signifying a milestone in Singapore's efforts to align domestic maritime labour law with international standards. Adopted by the International Labour Organization ("ILO") in 2006, the MLC is the fourth pillar7 in the international treaty regime regulating merchant shipping. 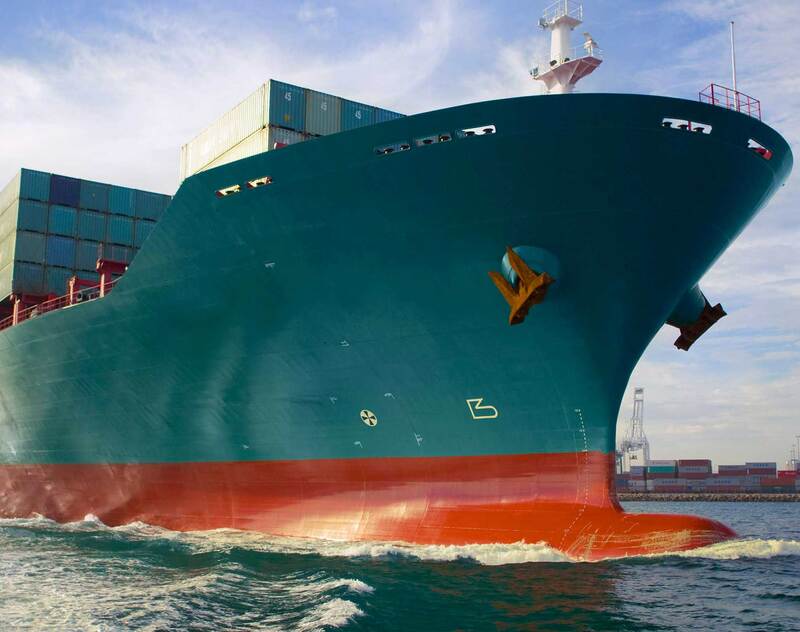 The MLC, together with existing conventions for maritime safety,8 marine environmental protection9 and vessel manning, 10 seeks to provide internationally accepted standards for the shipping industry. The MLC itself aims to improve the work environment for seafarers by establishing minimum standards of employment conditions. It embodies a set of maritime labour principles to transform merchant shipping into a more socially responsible industry. In short, the MLC, is the maritime community's latest collective effort to enhance the well-being of seafarers. Before the MLC entered into force, the global merchant shipping regulatory landscape was fragmented, each country having its own different regulations, often with differing standards.11 The various strands have been woven together to form the tapestry that is the MLC. The MLC is the first consolidated set of integrated regulations governing the working and living conditions of seafarers. It's coming into force is a landmark achievement. In Singapore, the Act effectively consolidates seafarer employment standards, hence providing greater clarity for operators and seafarers on the applicable standards. In so doing, the Act will also make it transparent to the global community that Singapore's maritime labour laws pass muster on international standards. The Act therefore gives effect to the MLC, makes provisions for connected matters and also makes the necessary amendments to bring into harmony, other provisions of existing law. Part XI of the Act provides for amendments to relevant sections of the Merchant Shipping Act (Cap 179, 1996 Ed) and Work Injury Compensation Act (Cap 354, 2009, Ed) that are superseded by the Act. The Employment Act (Cap 91, 2009 Ed) has also been amended for consistency. In this regard, the minimum standards prescribed by the MLC pertain to, amongst others, hours of work and rest, accommodation, recreational facilities, food, health care, welfare and social security protection. Accordingly, some of the key features of the Act include specifying minimum age requirements,12 working hours,13 payment of wages,14 annual leave15 and provision for the repatriation of seafarers.16 The Act also sets out requirements for working conditions on board ships, which includes the proper provision of food and water, medical care17 and other measures to ensure the health and safety of seafarers. Under the Act, ship-owners are required to implement procedures to allow aggrieved seafarers to lodge complaints18 regarding breaches of employment conditions. Where a seafarer is dissatisfied with the result of the investigation, the ship's master is obligated under the act to make adequate arrangements to enable the seafarer to escalate the matter to the Maritime Port Authority of Singapore ("MPA"), or if the ship is not in Singapore, to a port State authority. Significantly, under the MLC, all visiting ships to the port of a signatory State must be treated equally by that state control, regardless of what flag they fly. This "no more favourable treatment" principle which imbues the MLC, represents a huge step forward in the protection of seafarers' rights. Under the MLC, State port authorities of the signatory States, are vested with the legal authority to enforce the requirements of the MLC vis-à-vis foreign-flagged ships. Accordingly, Parts VIII and X of the Act set out an enforcement regime comprising inspection of both Singapore-registered ships and foreign ships that call at Singapore. With respect to Singapore-registered vessels, Singapore-registered ships that ordinarily engage in commercial activities are subject to the regime (ships which are engaged in fishing activities, of traditional build such as dhows or junks, ships that navigate exclusively within our Port Limits, warships and naval auxiliary vessels,19 however, do not fall within the purview of the Act). Additionally, for Singapore-registered ships of 500 gross tonnage20 and above, in order to operate at sea, ship-owners have to acquire a Maritime Labour Certificate and a Declaration of Maritime Compliance issued by the MPA, and maintain the certification for five years.21 Although certification is not required of Singapore-registered ships below 500 tonnage, the MPA nevertheless remains committed to ensuring compliance of these ships with all requirements of the MLC. As for foreign-flagged ships that call at Singapore ports, as stated above, the living and working conditions of seafarers from ships sailing under flags of non-ratifying states that call at our ports are equally subject to inspection by the Port MPA officers.22 Under the Act, MPA inspectors have the power to delay or detain foreign ships that do not comply with the MLC, until the non-conformities have been rectified. This ambitious feature gives the MPA muscle to check errant ship-owners. In effect, ship-owners would be prevented from evading their minimum obligations under the MLC by sailing under a non-ratifying State flag. Further, this levels the playing field for operators, many of whom have invested resources to ensure compliance and insulates against the acts of unscrupulous operators, who would otherwise be able to undercut on price by not providing decent living and working conditions for employees. With a new regime, come new challenges. The various stakeholders in the shipping industry will now have to each play their part. The shifts in the regulatory environment brought about by the enactment of the Act, require greater responsibility on the part of owners and operators. This translates into making changes in a range of matters and it is now incumbent on shipping companies and associations to develop auditable systems to ensure compliance with the Act. One example of this is that now, proper records of the division of work and rest hours have to be logged.23 Some shipping companies may have had to overhaul existing systems and it may be no easy feat to ensure full compliance especially in large organizations and especially where the crew originates from diverse backgrounds and from different countries. While the changes ushered in by the MLC are to be lauded, the MLC is not without its limitations. Standards demanded of employers and ship-owners in the MLC which are cast in fairly general language, requiring them to be "adequate", "reasonable", "appropriate" and "suitable" may differ between countries of varying economic and sociological conditions. This is not to criticize the MLC which plays to an international audience and must necessarily involve some degree of compromise, but rather, to point out the importance of keeping a keen eye on potential problematic areas. To this end, it is noteworthy that the Act has sought to make the standards it prescribes, as definitive as possible. If further guidance is needed, the MPA could issue or approve codes of practice or guidelines, detailing specific measures that ought to be taken with regard to ensuring the health and safety of seafarers. That power is provided for under s44 of the Act. To ensure that the MLC remains relevant in fulfilling its aims and aspirations, it, together with the systems that it has put in place, would have to be continually reviewed. Similarly, the current penalties for contravention under the Act may have to be revisited in time to come to ensure that they remain effective in deterring violations. The MLC, which is in many ways, a monumental achievement, has brought the global merchant community forward. It is the culmination of considerable effort and has garnered much support. In the long run, it is hoped that the MLC, will help buoy the global shipping industry, keeping it vibrant and attractive.27 Indeed, the MLC holds much promise. In the meantime, the MLC's arrival on our shores is to be warmly welcomed. 1International Labour Organization, Ratifications of MLC - Maritime Labour Convention, 2006, online: International Labour Organization <http://www.ilo.org>. 2International Labour Organization, Maritime Labour Convention, 2006, online: International Labour Organization <http://www.ilo.org>. 3Registry of Ships,Maritime Labour Convention, online: Maritime Port Authority <http://www.srs.sg/mlc-manning/maritime-labour-convention>. 4Parliamentary Debates Singapore: Official Report, vol 91 Merchant Shipping (Maritime Labour Convention) Bill (21 January 2013) (Mrs Josephine Teo). 5Parliamentary Debates Singapore: Official Report, vol 91 Merchant Shipping (Maritime Labour Convention) Bill (21 January 2013) (Mr Patrick Tay Teck Guan). 6Parliamentary Debates Singapore: Official Report, vol 91 Merchant Shipping (Maritime Labour Convention) Bill (21 January 2013) (Mr Patrick Tay Teck Guan). 7Registry of Ships, Maritime Labour Convention, online: Maritime Port Authority <http://www.srs.sg/mlc-manning/maritime-labour-convention>. 8International Convention for the Safety of Life at Sea. 9International Convention for the Prevention of Pollution From Ships, 1973 as modified by the Protocol of 1978. 10International Convention on Standards of Training, Certification and Watchkeeping for Seafarers 1978. 11The International Maritime Employers' Council, Maritime Labour Convention 2006, online: The International Maritime Employers' Council <http://www.mlc2006.com/>. 12Merchant Shipping (Maritime Labour Convention) Act 2013, section 5. 13Merchant Shipping (Maritime Labour Convention) Act 2013, section 16. 14Merchant Shipping (Maritime Labour Convention) Act 2013, section 20. 15Merchant Shipping (Maritime Labour Convention) Act 2013, section 22. 16Merchant Shipping (Maritime Labour Convention) Act 2013, section 23. 17Merchant Shipping (Maritime Labour Convention) Act 2013, Part VI. 18Merchant Shipping (Maritime Labour Convention) Act 2013, sections 55 and 56. 19Merchant Shipping (Maritime Labour Convention) Act 2013, section 2. 20Merchant Shipping (Maritime Labour Convention) Act 2013, section 47. 21Merchant Shipping (Maritime Labour Convention) Act 2013, sections 53(2)(c) and 53(6). 22Merchant Shipping (Maritime Labour Convention) Act 2013, section 57(b). 23Merchant Shipping (Maritime Labour Convention) Act 2013, section 16(7). 24Parliamentary Debates Singapore: Official Report, vol 91 Merchant Shipping (Maritime Labour Convention) Bill (21 January 2013) (Ms Mary Liew). 25Parliamentary Debates Singapore: Official Report, vol 91 Merchant Shipping (Maritime Labour Convention) Bill (21 January 2013) (Ms Mary Liew). 26Parliamentary Debates Singapore: Official Report, vol 91 Merchant Shipping (Maritime Labour Convention) Bill (21 January 2013) (Mr Christopher de Souza). 27 Parliamentary Debates Singapore: Official Report, vol 91 Merchant Shipping (Maritime Labour Convention) Bill (21 January 2013) (Ms Mary Liew). © 2019 Dentons Rodyk & Davidson LLP, a limited liability partnership registered in Singapore with Registration No. T07LL0439G. Attorney advertising. You will now be taken from the Dentons Rodyk website to the $redirectingsite website. To proceed, please click Accept.